I bet you wanted to go to Mars when you were seven. Who didn't? But did you do anything to get yourself there? I doubt it. 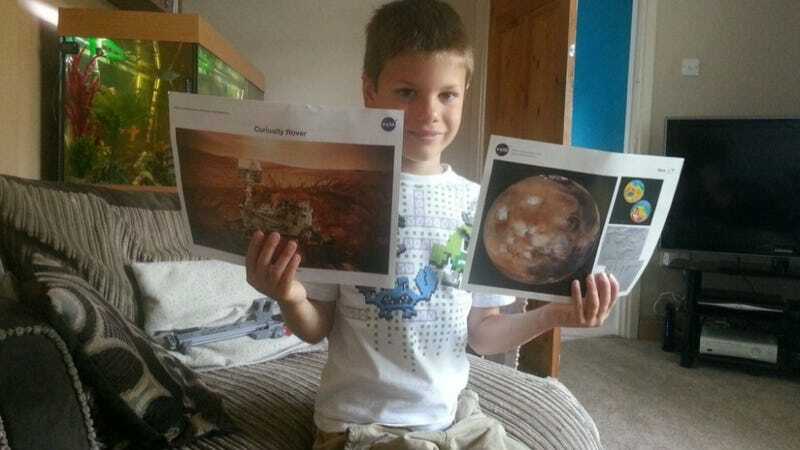 Dexter is seven, and he wants to go to Mars, but he isn't messing around. This kid sent a letter to NASA. That's more than you or I did. In addition to the letter, NASA sent over some literature and pictures of Mars, which was a nice little addition. If Dexter isn't the first person we send to Mars (after we experiment with people we don't like to make sure the process is safe, of course), then there is something very wrong with our space program. I salute you kid.